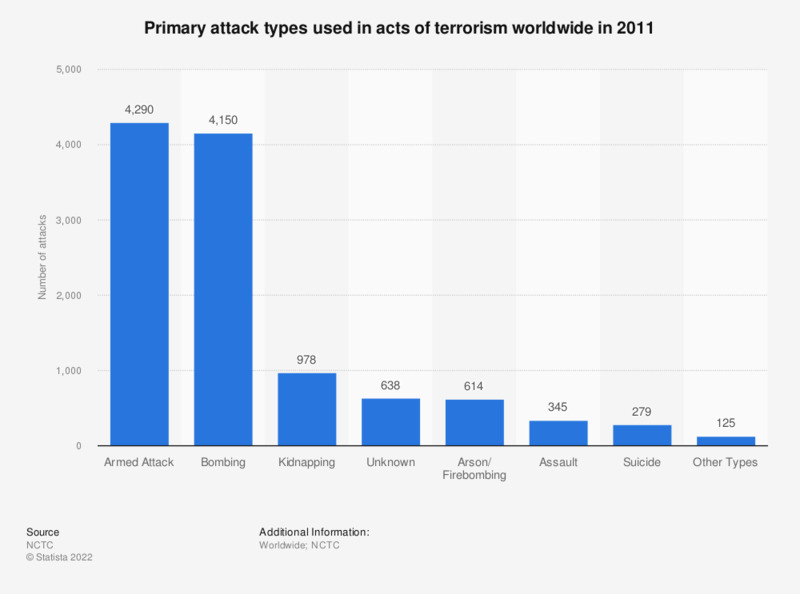 The statistic shows the primary terrorism attack types in 2011. In 2011, 279 terrorists comitted suicide during an attack. Number of terrorism attacks in total: 11,283.